Yesterday morning, the Trump Administration released its top-line budget proposal for FY2018, which called for termination of funding for the National Endowment of the Arts (NEA). I am deeply troubled by this proposed budget, as I'm sure you are, but I'm writing to remind you that this is only the beginning of a long budgeting process that will carry on until at least October 2017. Now is the time we must increase our advocacy and education efforts. You work on the front lines. You already understand the importance of the NEA to the economic and social health of every American community. You know how crucial the NEA is to the arts funding infrastructure of our nation. But the arts remain an easy target for uninformed budgetary action. And now we have it: the first president ever to propose fully defunding the NEA. Overall, Trump's proposed budget cuts nearly $1 billion in federal funds for arts and culture, including entirely defunding the National Endowment for the Humanities, the Institute of Museum and Library Sciences, the Corporation for Public Broadcasting, AmeriCorps, and more. Not investing in this vital cultural infrastructure is a huge mistake, and we must all make sure our congressional representatives know it cannot stand. *NEW* Member Briefings: Because you need deep, local information fast, we're launching new Member Briefings. This member-exclusive phone call series with Americans for the Arts senior staff will keep you posted about advocacy strategy, issue statements, and topic-area updates. The first two briefings are below (note that there will usually be one briefing per month). 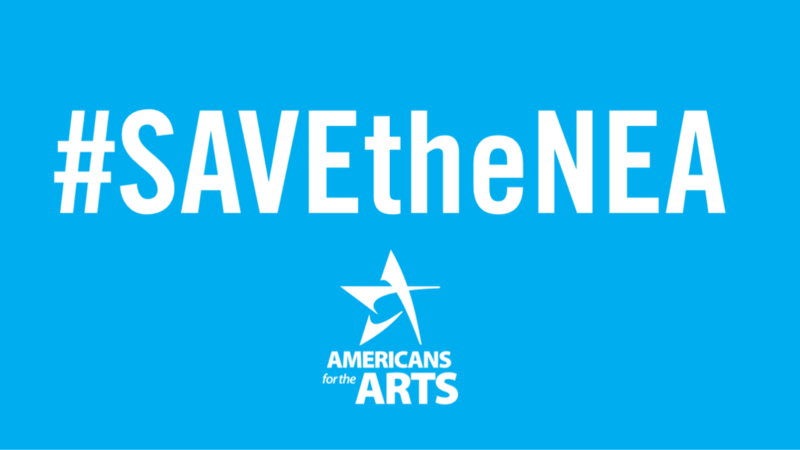 Member Briefing: AFTA's Strategy for Saving the NEA: Efforts to defend federal funding for the arts will happen throughout the year—and we need to have a strategy that keeps both federal and grassroots momentum going. Hear more about Americans for the Arts' plans and how you can take part. Join the call with Americans for the Arts Vice President of Government Affairs Narric Rome. To sign up click here. Thursday, March 23 at 3pm ET. Member Briefing: Arts, Jobs, and the Economy: The arts mean jobs, and Americans for the Arts has released a policy statement on the Arts, Jobs, and the Economy that explains why. Join Americans for the Arts' Vice President of Government Affairs Narric Rome and Vice President of Research Randy Cohen to discuss the policy statement and learn how you can use it in your local work. Wednesday, March 29 at 3pm ET. To sign up click here. Creative Industry Reports: State and District-specific reports are available to help you make the case for the arts locally, whether you're writing a letter to your Congressperson, drafting a letter to the editor, or talking to your mayor. ArtsU Free-to-member resources: The popular 3-part webinar series, Arts Advocacy Best Practices with Senator Stan Rosenberg, is available to you for free, as are the rest of the arts advocacy resources on ArtsU. Americans for the Arts will keep you up to date on federal arts funding, but I hope you take the time to visit our online Arts Mobilization Center http://www.americansforthearts.org/mobilize frequently. It's where you'll find the most recent and important updates, advocacy information you can use, and other tools of help. Thanks for the work you do every day. If we fight together through this entire budget process, we can #SAVEtheNEA.